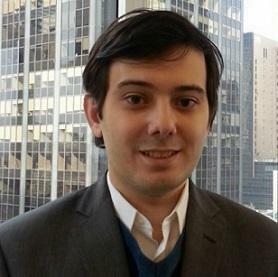 Former pharma chief exec Martin Shkreli has been issued with a subpoena by the US House of representatives, compelling him to appear before a Congressional hearing next week to discuss prescription drug prices and other pharma industry issues. The 32-year old, who was arrested last month on securities fraud charges unrelated to this subpoena, used his Twitter account to post a photo of the subpoena, which was originally delivered to his lawyers. Earlier in the day, he had Tweeted the Committee was “busy whining to healthcare reporters about me appearing for their chit chat next week.” He added: “Haven't decided yet. Should I?”, directing the Tweet at Representative Elijah Cummings, a Democrat who is the ranking member of the House committee that subpoenaed him. A spokeswoman for Cummings said in a statement Wednesday: "I have been trying for the better part of a year to get information from Martin Shkreli about his outrageous price increases, and he has obstructed our investigation at every turn. He claims publicly that he wants to explain to Congress how drug pricing works. On Tuesday, he will get his chance." Although apparently not keen to comply with the request, Shkreli may be obliged to, as Congress in fact has the legal power to compel witness testimony. A spokesperson for the panel’s chairman, Representative Jason Chaffetz, said: "The Committee expects Mr Shkreli to comply with the subpoena." Shkreli later publicly clashed with Senator Susan Collins, who chairs the Senate Committee on Aging. Collins had criticised him on Twitter for hindering a separate congressional investigation by invoking the fifth amendment in refusing to hand over documents to the Committee’s investigation into drug pricing. Interim Valeant chief exec Howard Schiller has also been called to testify at Tuesday’s hearing. Valeant has been criticised for its own heavy price increase in recent months, and the company also received subpoenas last year over the cost of some of its drugs. Executives at Shkreli’s former company Turing, owner of the rights to Daraprim, have also been called. As for Shkreli’s fraud charges, it emerged on Tuesday, that he had filed to replace his lawyers and was in the process of hiring new counsel.